We set it all up for you. EVERYTHING. Just give us your contact names. We do the rest. 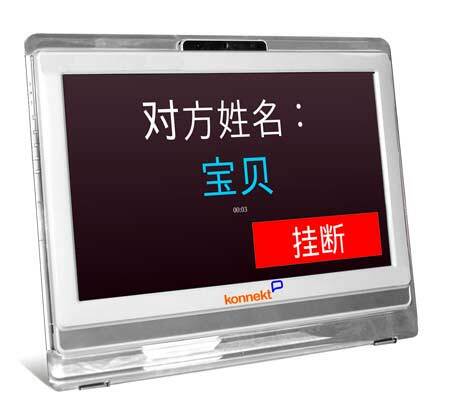 We customize your Konnekt personalized video phone just the way you like it: The number of call buttons, the layout, contact names and numbers, text size and style, colour scheme, volume, ringing sounds, the language used and even the status message wording and button text. Some users have many friends they call often, while others want a simple hotline to immediate family or a care-giver. Please tell us if you have difficulty hearing, seeing, keeping a steady hand or operating a regular phone so that we can make Videophone work for you! Just press the Konnekt button & tell us what you want. To make any changes or ask for help, just touch the big Konnekt contact button, call us from any phone, contact us via Skype, email us, or use our simple form. 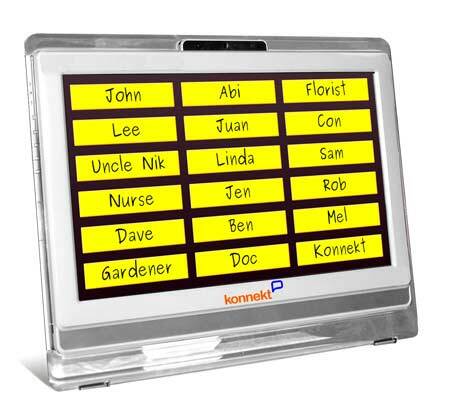 Virtually everything is adjustable by Konnekt — without the need for anyone to visit or use a web portal. You can request changes to personalize your setup without cost. No visit required. 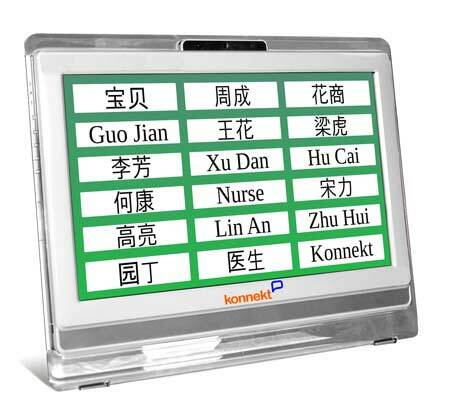 How does it help aged-care facilities, retirement villages, palliative care hostels and community service providers? 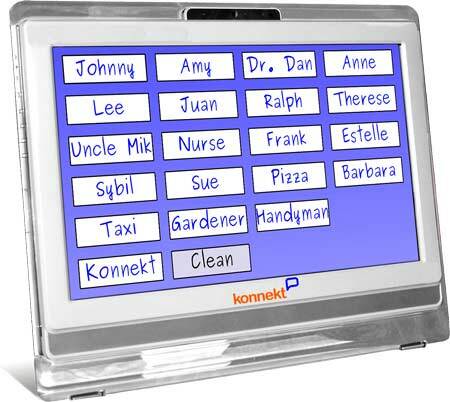 The Konnekt Videophone improves quality of life and well-being of residents / clients, provides a highly valued service, fills rooms faster, and increases staff efficiency in three ways. See Aged Care applications.